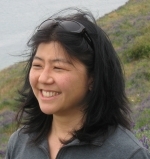 Midori Takagi is an associate professor of history at Fairhaven College, Western Washington University in Bellingham, Washington. Her M.Phil and Ph.D. in history are from Columbia University, while her Master’s degree is from American University and her undergraduate degree is from Oberlin College. She has authored “Rearing Wolves to Our Own Destruction” Slavery in Richmond, Virginia, 1782-1865 published by University Press of Virginia. She has also contributed to a number of anthologies including Sexual Borderland: Constructing an American Sexual Past, edited by Kathleen Kennedy and Sharon Ullman, published by Ohio State University Press.